?Can I sue for pain and suffering from a bus accident in Michigan? ?Is a pedestrian hit by a bus entitled to Michigan No-Fault Insurance benefits? ?Were you a pedestrian hit by a bus in Michigan? ?Who is best attorney in Michigan for a bus accident lawsuit? ?What are my legal rights if I was a passenger injured in a Detroit bus accident? 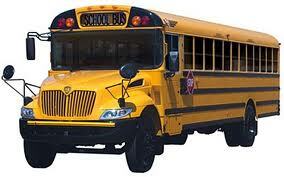 Our Michigan school bus accident lawyers represent students who were injured in school bus accidents. School bus transportation has proven to be the safest way to transport a child, especially given the high number of trips taken. According to the National Highway Traffic Safety Authority, every school day, roughly 440,000 yellow school buses transport more than 24 million students to and from school and school-related activities, accounting for more than 8.8 billion student trips per year. Although school bus transportation is usually safe, there are a substantial number of school bus injury accidents every year. Nearly one-fourth of the bus accidents occur when children are boarding or leaving school buses, while crashes account for forty-two percent of the injuries. On average, more than ten children each year die as a result of school bus-related accidents, with forty percent of those deaths occurring between the hours of 3 p.m. and 4 p.m.
Students injured in school bus accidents are entitled to Michigan No-Fault insurance benefits to pay their medical bills and expenses. If a child is seriously injured, a family member is entitled to be paid attendant care service benefits to care for the injured child during the period of recovery. In tragic situations involving the death of a child, the family of the student can file a Michigan wrongful death claim against the negligent driver or school district for the loss of the child. If your child has been injured in a Michigan school bus accident, you should contact our firm as soon as possible to discuss your legal rights. Due to the complexities involved in Michigan school bus accident injury cases, you should contact the Michigan automotive accident injury lawyers at Buckfire & Buckfire P.C. to see if you have a case. WARNING: There are strict time deadlines for filing Michigan school bus accident lawsuit claims.